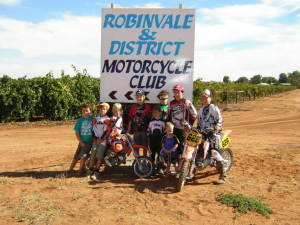 Robinvale District Motorcylce Club is Situated about 7km South West of Robinvale on Shaggy Ridge Road. 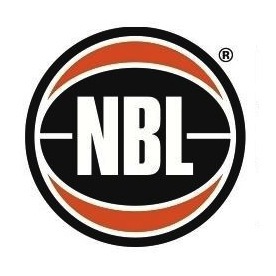 To get there travel approximately 3km south of Robinvale on the sea lake Hwy Turn right onto Happy Valley road for 2km then left into Shaggy Ridge Road. We are signposted from the Happy Valley Road Turnoff. The track is approximately 1.8 km in length and is of red loam composition, featuring starting gates, numerous table tops, ski jumps, whoops and berms, surrounded by acres of native bushland. Race meetings are held from February through to October each year and run all classes from Div 1 Juniors to Senior All Powers. The last season and coming season have seen many improvements to the track and facilities at the Club Complex including improved spectator veiwing, new lapscoring box, canteen and BBQ facilties. Many more improvements to continue this year such as additional start gates , track and irrigation upgrades, canteen and storage facility upgrades. We now have showers so you are more than welcome to camp, no charge for camping.